Collecting baseball cards is so much fun but way too hard and time consuming. It doesn’t need to be like this. The following is a short biography of my collecting experience and a vision of what I want to enable for fellow collectors. As a child I started collecting baseball cards in 1986. Every time we would memorize a Bible verse, our youth group leader would give us a pack of baseball cards. 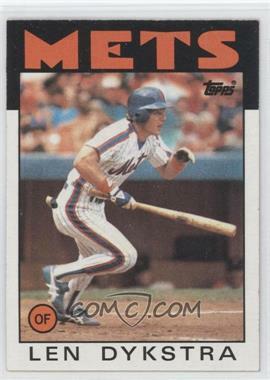 I remember the first time I saw a price guide and found out that my Lenny Dykstra rookie card was worth $2. As an eight year old, this was really exciting. 1987 was a big year for us in Minnesota. The Twins won the World Series, so now it was time for me to start following major league baseball. The next year, I discovered a new hero, Orel Hershiser. After 59 2/3 consecutive scoreless innings, a gold glove, and a World Series MVP, I had to get his rookie card. That brought me to my first sports card show at the Thunderbird Hotel in Bloomington, MN where I paid $6 for a 1985 Topps Orel Hershiser rookie card. Being in love with numbers, I studied the stats every week in the newspaper, and I read all of the prices each month when the Beckett came out. The other day I ran across a line graph I had plotted by hand to track the price changes for the Robin Yount and George Brett rookie cards. By the time I was 12 I had my first table at a card show. Seeing how popular someone’s dice game was, I went home and calculated all of the odds so that I could optimize the customer’s expected value without risking too much of a loss for me. (Yes, I eventually became the captain of my high school math team.) The dice game was a big hit at my next card show. In 2003, after working very long and hard on Microsoft Access 2003, I got a chance to poke my head out at the world. I discovered etopps.com and rediscovered eBay. My sports card interests had laid dormant for 7 years, and the industry had changed a lot. Through eBay, I was able to find all of the cards I was collecting in 1996 for next to nothing. eBay can be a very time consuming hobby. So I built an Access database to track eBay auctions, and I was able to successfully acquire tons of cards for very low prices. Of course, I got way more cards than I needed, and I wanted to let others pick and choose cards from the big lots that I was winning. So I started to build the site LowPriceCards.com as a fun little hobby. While talking to a local dealer, he asked where I typically bought cards. When I mentioned that that I got them online, he was curious how I was willing to pay for cards that I couldn’t see. Though the cards I was getting from eBay weren’t always perfect, I was still getting a good enough price to make it worth my while. However, this comment stuck with me. I realized that buying and selling sports cards online was a fairly risky and time consuming venture for most collectors. These are just some of the drawbacks for buying and selling cards online. I am sure many of you have seen more areas that you would like to improve. Many of these issues were addressed by LowPriceCards.com. The problem with LowPriceCards.com was that it only helped me and a couple buyers that were interested in my inventory. I kept getting requests from people who wanted to post their inventory on a site like mine. So I decided to open this functionality to fellow collectors. In 2006, my wife and I formed Julia Getsch Enterprises, LLC, and in early 2007 we launched COMC.com as an effort to become the premier sports card consignment website. We are currently beta testing our consignment functionality with a handful of users, and a month ago we hired a web developer to work on our site full-time. Over the next few months we will be rolling out many new features. Here is a sampling of what is to come. These are just a few of the ways that we are hoping COMC.com will improve your collecting experience. We have many additional innovations that we will be rolling out soon. So keep an eye on this blog, and sign up to be notified as more functionality becomes available. This entry was posted in baseball cards, collecting, sports cards. Bookmark the permalink. This is outstanding! Tim, I had no idea of your “biography” and this history adds so much perspective. Yeah, I was wrapped up in my own schooling and life…. I’m excited to see the new, innovative ways other people come up with to use this technology. Kudos on the latest site launch! This all looks so promising and so creative. Interesting concept. I will keep your site in mind as I frequently purchase Topps Heritage singles from the sites you mentioned. That is a great idea for set collectors. Buying 50 or 60 cards by the each to complete a set does get very expensive. This would be a nice way to put great sets together on limited budget. Look forward to the updates. I agree with Tom. This is a great way to really put together a nice “complete” set without dropping alot of money into it. With a complete set you can really get a nice return on your investment. How is your concept working so far? I will definitely check your site when 2008 Heritage is released in a month or so. I pick so many small lots off of naxcom, sportslots, etc. that this has definitely got me interested. We have actually been struggling to keep up with the demand. We are currently looking to hire more staff members so that we can fill all the orders and process all of the cards people are sending us. I believe we have one or more sellers planning to open a case of Topps Heritage and put most of it on the site. I won’t send you my cards, so your idea, although a somewhat decent one, will not flourish because I know a lot of other guys who won’t either. Model your site closer to Naxcom and you might have something Bubby. Zach, Thanks for your feedback. We originally thought there would be a lot of skepticism, and that most people would have your reaction. And maybe most people do… However, the fraction of people that have started to trust us have given us more business than we know what to do with. We have hired three new people in the last two months, and we are looking for several more to keep up with the tens of thousands of cards that people are sending us. Our biggest problem right now is keeping up with the demand. FYI, you should check http://www.alexa.com or other website comparison sites and see how we rank compared with Naxcom. I think you will be surprised. Even though we don’t have nearly the content of Naxcom, people are really falling in love with our site. Here is an approximation of our traffic compared to Naxcom for the past 6 months. We will keep plugging away with the demand we have from our current customer base. I don’t know where that is going to take us, but the exponential growth we have seen ever since we started hasn’t slowed down.